Learn how to list your site with Google and other popular search engines online. Search engine advertising is one of the best ways to bring in free, targeted traffic. Discover how search engine optimization has changed over the years and what you need to know for the future. Here I address a common mistake made by people trying to rank their websites on Google. Learn why you should tag all your content and the importance of building up your AuthorRank if you want more Google traffic. YouTube is an excellent, free way to drive additional traffic to your site. Discover how to get your videos to rank well. Using Google AdWords to Drive Traffic - Is That Smart? Here's an overview of how AdWords works. You can actually drive a lot of business and traffic with AdWords, but at what cost? How to use Market Samurai for keyword research. Avoid making the biggest mistake most website owners make. Learn how to master email marketing to add another stable source of traffic and revenue to your site. How to use the latest hottest social media website to drive visitors to your site. Basic tips on getting the most out of Twitter, Facebook, etc. Easy tips you can begin implementing today to help grow your blog's traffic. Make sure Google knows about all your pages. Learn how to create a sitemap. An introduction to Google's social networking tool. Discover how I use Twitter to drive traffic and build my personal brand. Guest posting can be a VERY effective way of building traffic to your website. Read this great guest post by Ann Smarty. Trouble Building Traffic? Join My Forum! One of the best ways to learn how to build traffic is to network and get help from your peers! Just look at all the traffic discussions here! RSS feeds are a great way of letting your audience keep up with the updates on your site. Find out how to setup your own feed for a static website. (Adrienne Erin @ SiteProNews) On July 24, Google went public with a new algorithm change that, as opposed to affecting online retailers and businesses, pertains mostly to brick and mortar stores by modifying local directory listings. What does it do and how does it affect your business? Yelp and to optimize where possible. (Derek Jansen @ SiteProNews) So you pushed the limits in terms of link building – you built links to your site that weren’t exactly squeaky clean or natural. Perhaps you used some blog networks, perhaps some low quality directory submissions, or even forum profiles. Who could blame you? Truth is, it worked for a while – but then one day you got a not-so-pleasant message from Google Webmaster Tools – the dreaded “unnatural links to your site” warning. You cringe, perhaps feel a little guilty, and hope that the impact isn’t too bad. But as the weeks roll by you watch your rankings rapidly diminishing – those top three rankings fall off of page one. Next you start seeing the impact trickling through to your financials – it’s all headed downwards. The reality of losing your Google-derived traffic starts setting in. You realize that you have to get the penalty lifted, as a matter of business survival – but how? So you pushed the limits in terms of link building – you built links to your site that weren’t exactly squeaky clean or natural. Perhaps you used some blog networks, perhaps some low quality directory submissions, or even forum profiles. Who could blame you? Truth is, it worked for a while – but then one day you got a not-so-pleasant message from Google Webmaster Tools – the dreaded “unnatural links to your site” warning. In this post, we’ll look at the basic 3-step process we follow at Penalty Pros to get unnatural link-based manual penalties lifted. We’ve had the benefit of removing over 200 manual penalties, and have learned a thing or two along the way. Please keep in mind that the recommendations below are based on our observations of what works and what doesn’t, and that some of this advice may be contrary to what you read elsewhere, or even Google’s official recommendations. The first step in dealing with a link-based penalty is analyzing your incoming links to assess which are acceptable and which are problematic. Data Sources – Which Should I Use? There’s a fair amount of debate regarding what data sources you should use. Some say that you should use as many data sources as possible (for example Majestic, Open Site Explorer, Ahrefs, etc. 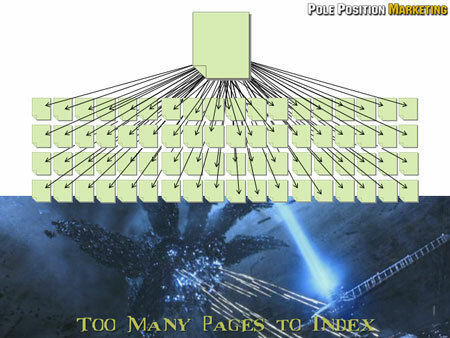 ), while others say that the Google Webmaster Tools (GWT) Data is sufficient. In our experience, having tried all the major data sources, we’ve found that the GWT data is generally sufficient, and at worst, should be combined with one additional data source (we recommend Majestic SEO). Less Is More – for the purposes of getting a penalty lifted, we’ve seen no value in using every possible data source. Using multiple data sources just adds to the time investment required and yields no better returns in terms of lifting a penalty. To get started, you only need to focus on the downloadable links within Google Webmaster Tools. We recommend downloading both the “Latest Links” and “More Sample Links” CSVs in GWT, combining them and removing duplicates. To be clear, we’re only referring to the impact on getting a penalty removed – not on having a squeaky clean link profile. If you want to audit every single link in an effort to eradicate ANY questionable links, there is definitely value in using every available data source. Once you’ve downloaded, combined and de-duplicated your links list, the hard work begins. You’ll need to manually comb through each and every link to assess its “naturalness”. This is painstaking, time intensive work, but it is absolutely essential that you take a manual approach to this. Please DO NOT utilize automated link analysis tools for this job. While the likes of LinkDetox, LinkDelete, DeleteBacklink, etc. do a great job of removing links (which we will come to later), their analysis is algorithmic and automated, and will never be anywhere near as accurate as manually auditing your links. The human touch is absolutely essential here. You do not want to end up removing good links and leaving bad links by mistake. Take the time to do manual analysis. So the next question is, of course, how do you define/identify bad backlinks that need to be removed? While there’s no hard and fast rule for making this assessment, having performed extensive penalty removals we’ve observed that Google’s main criteria is anchor text (even more so than link source). It seems that commercial anchor text (or unnatural anchor text ratios) is what triggers their system, and this is what the manual team is really focusing on. We’ve noticed links on otherwise perfect sites getting flagged, purely because of over-optimized anchor text. By the same logic, we’ve seen links from very questionable sites fly under the radar because their anchor text was less questionable. This is only our observation, but based on 200+ penalty removals, it does suggest that anchor text is the key focus of the manual team. The bottom line is that Google doesn’t want you to be able to influence your incoming links, and any link that suggests it has been manually created for the purposes of manipulating their algorithms can be a problem. When assessing links, ask yourself, “is this link plausibly deniable?”. If not, it most likely has to go. Tip – while Google should ignore “nofollow” links, we’ve observed this not to be the case (i.e., nofollows have been pointed out in denied reconsideration requests). Perhaps it was incompetency on the part of the manual reviewer, but it is always wise to disavow questionable nofollow links as well. Collect webmaster email addresses or contact form URLs for all problem links – you can find email addresses on the relevant sites, or use who.is to scrape contact details, or use a service like Rmoov to semi-automate this process. Create a generic request email and mail merge the data to send out requests. Submit the balance of contact forms manually. Send a follow up to all sites that fail to respond. Document all results in a spreadsheet for submission along with your reconsideration request. Your request is a corporate communication. Do not be rude to webmasters or threaten them when requesting link removal or anchor text editing. This can cause a major PR problem. Check your referring data in Google Analytics before requesting link removals, because you could be killing a profitable traffic source. In such cases, ask the webmaster to edit the anchor text of the link to something more natural. If the link is still undeniably commercial, add it to your disavow list (more on this shortly). The truth is most websites will not respond (why should they care? ), and some will even be so cheeky as to request payment for link removal. Document all failed requests and mark them for addition to the disavow file. Once you’ve completed the link removal outreach phase, you will need to prepare and submit a disavow file of all links that could not be removed. The disavow tool allows you to tell Google to effectively ignore certain links or domains. For more information on the tool, see Google’s official help page here. Be very careful when creating the disavow file – you don’t want to end up disavowing good links by mistake. It goes without saying, do NOT use any automated tool to prepare a disavow file – manual preparation is essential. Once you’ve prepared the disavow file, you’ll need to submit it to Google via Google Webmaster Tools. You can find the function here. Please note that you DO NOT need to add comments to your disavow file. Google has recently stated that the disavow process is completely automatic, and they do not look at comments. Don’t waste your time. When submitting your file, be sure to double check the data on the confirmation screen to ensure that there are no errors with the disavow file. The third and final step in removing the manual penalty is to submit a reconsideration request to Google, highlighting what you’ve done to resolve the issue, and request penalty removal. The function can be found in Google Webmaster Tools under “Search Traffic” -> “Manual Actions”. Writing a quality, sincere reconsideration request is absolutely essential. You do not want to rush this part. It’s important to admit that the website was involved in manipulative link building (whether by your instruction or someone else’s) and state that this has now been stopped. Google wants to see that you have “come clean” and had a change of mind-set when it comes to SEO. Obviously, if you are a victim of negative SEO or an agency that promised white-hat and delivered black-hat, you need to explain this. This one’s a contentious point. If your SEO or SEO agency is responsible for the problematic links, Google wants to know about it. Some speculate that the entire link removal and disavow process is a data collection exercise for Google (most likely true). Regardless, Google wants names – hand them over. Now’s the time to showcase all the hard work you did to remove bad links. Share your spreadsheet on Google Drive (be sure to enable open access) and reference it in the reconsideration request. Provide as much detail about your efforts as possible. The more the better. Even though you’ve already submitted your disavow file in GWT, it’s still wise to upload it to Google Drive and reference it in your recon request. We’ve seen many cases where the manual team ignore the disavow file (whether by human or technical error). Play it safe and include a reference in your recon request. As mentioned earlier, Google wants to see that you’ve had a change of mind-set when it comes to SEO. Briefly discuss your future plans to invest in a content marketing based strategy, or if you’ve decided to give up on SEO, mention that. Make it clear that you are not going to be a “repeat offender”. Once you’re done, re-read your request and make sure that there are no spelling or grammar issues, and check that it flows well. You want to make it as easy as possible for the reader to give their stamp of approval. Once done, hit the submit button. It generally takes Google 2-3 weeks to respond. It’s Unlikely You’ll Succeed First Time Round – Don’t Beat Yourself Up About It. As a non-specialist, it’s unlikely you’ll succeed first time round. The most common reason for this lies in the analysis phase. Most webmasters are simply too conservative when it comes to identifying problem links and believe that a link is “good” when it is not. Don’t despair though – it just takes a little perseverance. If unsuccessful, you will need to repeat the above process with remaining links, and ensure that you have identified all problem links. Fortunately Google does provide 2-3 examples of problem links when denying a reconsideration request. Use this data to guide your efforts and identify remaining problem links. Google will not process a reconsideration request for 2-3 weeks after declining the original. Use this time wisely. Update your link list with the latest links to ensure that you have the full picture. Links change over the time from your first analysis to the second recon. When updating the disavow, keep in mind that your latest disavow file replaces all previous versions, so make sure that you’re creating a comprehensive file. You do not want to “re-avow” old links when disavowing new ones! If successful, you can expect to see a shift in rankings and impressions within 2 weeks post penalty removal. The extent of this improvement will be dependent on how many good links you still have. While every site is different, and there are no guarantees, we’ve seen sites skyrocket past their pre-penalty rankings and an average increase of 800% in impressions at Penalty Pros. Removing your Google penalty is hard work – there’s no way around that – but it is well worth it. While some SEOs will argue that you should rather ignore the penalty and focus on building new links, our experience has been that even partial-match penalties still cause a substantial suppressive effect site-wide. If you’re looking to succeed in the SERPS you can’t move forward without first resolving your manual penalties. Thanks for reading, and we wish you all the best in your penalty removal efforts. Please keep in mind that the advice in this post is based on our experience, and your experience may be different. We’d love to hear your thoughts and feedback in the comments section below. (Tina Courtney-Brown @ SiteProNews) If you’re just starting out, every aspect of great SEO can feel intimidating and daunting. There’s a lot that goes into intelligent SEO execution; everything from high quality content, to site construction and coding, to organic search results, to paid search, and much more. Sometimes it helps to narrow down your focus to the most challenging aspects of a solid SEO campaign and build from there. To assist, I’ve listed this year’s most perplexing SEO tactics with insights on how to demystify each element. Google and search engines like it make money off of great content. Their algorithms, therefore, reward you when you hit the mark. According to eMarketer, 74 percent of businesses intend to focus more on content marketing this year; join them, or be behind the curve. Quality does not mean expensive, it simply means it’s inherently valuable. You can produce inexpensive videos that are meaningful to your customers and still hit a home run. Create an editorial calendar, and stick to it as much as possible. Flying by the seat of your creative juices won’t always hit the mark; planning is integral to quality. This is where most businesses fall short. Once you have the content you’re proud to share, promoting it can be a much harder task. Do not hold the shortsighted attitude that great content sells itself. If that were the case, marketers wouldn’t be so needed. Use all your existing marketing channels with current customers to call attention to your content. This includes regular e-mail blasts to opted-in readers, social media integration, and prominent placement on your website(s). Find folks in your industry with loyal audiences that are looking for your kind of quality content. Making friends with bloggers and media folks that share related information is invaluable, and a true win-win. They need the content, and you need the eyeballs. Don’t be afraid to make friends. In fact, I advocate creating content specifically for a website that has a large following of readers in your demographic. Customizing the content increases the odds of publication, and it shows how serious you are about honoring their specific parameters and needs. Brand identity is absolutely essential to a strong SEO campaign. If you think of SEO as a short-term, one-off goal, you won’t achieve the highest rankings. Don’t assume SEO is just about clicks, traffic and conversions. SEO is marketing, after all, and the big picture goal of marketing is always to increase your brand awareness and credibility in the eyes of consumers. This integrates seamlessly into Google’s perspective too. More and more, they are rewarding businesses with high authority, trustworthiness and credibility. If your overall SEO strategies encompass the permeation of these qualities, you’re on the right track in a very big way. Many business owners still think mobile SEO is exactly the same as traditional SEO. Alas, that’s just not the case. Treating them the same will not only dilute your mobile results, it could diminish efforts on both sides, because Google is giving more and more credence to good mobile SEO tactics. I hear lots of marketers tout that their audience isn’t accessing them on mobile, so it’s not a big part of their strategy. In almost every case, it isn’t that their customers aren’t using mobile devices, it’s that their content is either difficult to find or difficult to access on small screens. In other words, they don’t see high mobile traffic because there are flaws in their approach. This is why it behooves everyone to include small screens into every aspect of the site production and marketing efforts. How do you appeal to the small screen masses? Make content just for them, for starters. Have a keyword strategy based on mobile trends and results. Ensure your sites, blogs, and content offerings all work flawlessly on small devices. Treat your mobile customers as an entirely different aspect of your demographic with unique needs and requirements. They are, after all, and with mobile traffic continuing to skyrocket, ignoring this area of your business could be hugely detrimental. Yes, you still have to make sure your sites (mobile and otherwise) all have targeted keyword strategies, excellent SEO data, URLs, and descriptors, and robust site maps. These must-haves don’t change much. What does keep shifting is the challenge of staying on top of SEO trends and tools. If you’re feeling overwhelmed, keep going back to the core of what high rankings are all about: quality, consistency, content, and credibility. That’s the recipe for SEO success, and it’s never too late to start. (Tina Courtney-Brown @ SitePro) Since the advent of SEO, like any human-created system, many have found it challenging to play by the ethical rules. Thus, “black hat” and “white hat” SEO were born. Black hat refers to shady practices where businesses buy links and engage in bot-scamming techniques, and white hat are all those standardized practices that develop increased rankings the old-fashioned way: by earning it. It’s a natural progression, then, that the ever-present desire to bend the rules as far as they can go without breaking would manifest a new SEO term, “gray hat.” Many argue it’s the best search engine game in town, while others say it doesn’t even exist – there is no gray. What exactly is gray hat SEO, and should your business consider pushing these boundaries? That all depends on your risk tolerance, adherence to structure, and willingness to walk the line between integrity and unethical practices. Read on to see where you land in the mix. Consider gray hat practices akin to a newly developed street drug – there’s a period of time where those in the know can use it before it’s deemed illegal. To some, these tactics are legitimate – crafty ways to play within the system, and come out on top. In truth, gray hat is just a nicer way to say you’re attempting to cheat the process, without looking like it. To illustrate this point, let’s examine the most common gray hat practices. Domain Purchases: Some businesses do a grab-and-buy on old yet authoritative URLs that can then add backlinks to the sites they own, thereby boosting rankings. While this may seem like an out of pocket expense, it can cost far less than the time and effort it normally takes to build your link juice. Social Media Buys: Looking to increase your social media numbers overnight? There are services that automate this process, but proceed with caution: Twitter, at least, isn’t allowing these inflations any longer, and other platforms may soon follow suit. 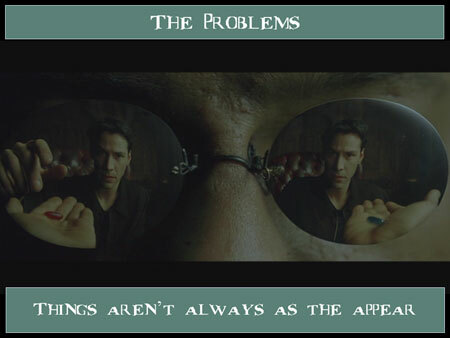 Content Manipulation: Many now use software that scans the web for content on a particular topic, then “spins” it by rewording sections, thereby avoiding a duplicate content ding. Copyright infringement is still a possibility since normally no original content is added, but it can whiz past Panda’s watchful eye. Cloaking: Famous in black hat circles, cloaking is an attempt to tell search engines one thing, and users another. By manipulating meta-data and IP addresses, you can convince search engines to crawl you when they otherwise would not, based on your content. Some argue this is a legitimate “gray area” for communities and membership sites. Keyword Page Strategies: Another middle of the road tampering that involves creating landing pages for each keyword or keyword phrase. This can be time consuming, but certainly effective; as long as releases are staggered over time, so as to avoid spam filters. Google-Bombing: A technique involving the formation of a big dose of links, generated solely for rankings. When combined with keyword bombing, this can inflate rankings in short order. CSS Content Deception: Those with the coding chops can fool search engine bots into thinking a site’s content appears farther down the page than it actually does. The benefit? Google crawls content first, and if it’s perceived to be significantly down the page, the site can read as having increased value. Microsites: Similar to keyword pages, some businesses create a different mini-website for each category they cover. As an example, a business selling pet supplies may create separate sites for cats, dogs, exotics, birds, etc. This is easy for search engines to sniff out, however; especially if you’re using the same contact information for each site. Should You Consider Bending the Rules? The argument for following standardized practices is always this: the bad guys seem to finish first. But is that really the case? And are there any exceptions? Yes, it’s true that those that engage in questionable SEO tactics often seem to hit the top of the rankings. Monitor these results long term, however, and you’re likely to see cracks in the armor. Google, Bing, and Yahoo have an incredibly vested interested in catching deceptions as fast as they can, and years of algorithm shifts have shown they’re definitely paying attention. If you want your business to have staying power, it’s advisable that you not make the big dogs angry, or you may have to start from square one. That said, some industries are themselves deviant and renegades, and in order to compete, you may feel like you have no choice. In actuality, “gray hat SEO” is only a matter of perception. One person’s gray is another person’s pitch black. It’s really only a category created to make those breaking the rules feel better about their strategies. That said, anyone attempting to only follow white hat SEO practices has an almost impossible task. Because Google defines black hat as any attempt to manipulate rankings, you’d be hard pressed to find a site that hasn’t crossed the line. 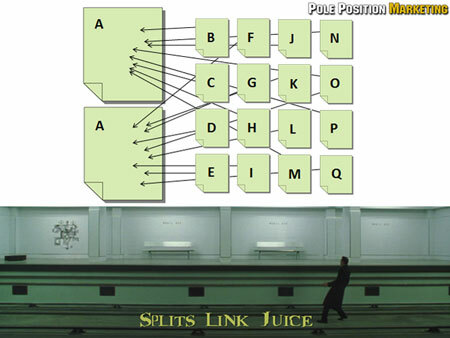 We bribe sites to link to us by offering link juice in return. We study keyword density for content and do our best to make search engine bots take notice. The list goes on and on. Because the world knows that SEO is a critical component to online success, it’s natural that folks do all they can to get their business on top. The game, therefore, becomes one of risk tolerance and ethics. Only you, the business owner, can decide where in the spectrum of black, gray, and white you choose to land. No matter how you choose, there are repercussions – and you have to be comfortable with potential outcomes before moving forward with your strategies. Before you go seeking investors for capital to purchase ads, simple inexpensive ways you can utilize to try to get the word out. I recommend issuing a press release, starting a blog, setting up social accounts, posting on industry-related forums, AND going to networking events. A press release is a cost-efficient way to get your new product or service out to several media outlets with the click of your mouse. I have used PRWeb.com in the past as their plans are fairly affordable and their approval process only takes a couple of hours. This also helps the search results for your new company name. When you write your press release, write it with your audience in mind, people that will purchase or recommend your product. Since it’s going to be distributed to a number of media outlets, give it a catchy title, and tell a story about something you’re startup is going to do. Don’t just do the cookie cutter “ABC Launches New Product For XYZ.” That’s boring and is going to get overlooked by many. Write about something you would like to read. Starting a blog on your new website is an inexpensive way to give your new company a voice and the ability to connect with your customers. It's easy! Setup web hosting with us, Active Technologies, then use either WordPress or Drupal to create your content. Don’t just sit and try to “sell” your readers. Give them informative, helpful information. If your blog is useful, people in your industry will start visiting regularly and share their link with their connections. Social Media accounts are a must. LinkedIn, Facebook, and Twitter, and are the first ones I go to when I want to start building a presence. Once you setup your account start connecting with people that could become customers. DO NOT CONNECT WITH THE COMPETITION! If you do, they will also have access to your prospects AND they will see inside your bag of tricks! As you build up your connections, start cross-posting content from your blog and other helpful tips. As with your blogs, be helpful, and don’t be pushy. If your connections find your content interesting they’ll also share it with their connections, allowing for it to go viral. Every industry has some type of forum where they connect. Some of the more established ones have websites full of members while others have sub sections on websites such as Reddit. I simply go to Google and starting doing searches for “MY INDUSTRY News” or “MY INDUSTRY Discussion.” Somewhere along the line you’ll find websites where people are already discussing things in your niche and you can start gaining exposure for free. Don't push - be helpful! Conferences are huge for our company. Like open forums, nearly every industry has trade-shows or networking events. I watched a documentary the other night where people who have had near-death experiences have a tradeshow where they all get together and discuss their stories! Get out from your computer and try to attend some of these! With all of the discount travel sites online, you shouldn't have to spend an arm and a leg to attend. Nothing beats face-to-face communication though and it’s likely you’ll meet some connections that can really help catapult your business. In conclusion, the majority of your hard work is actually getting your startup in production to where you can start accepting customers. But without proper marketing, even the coolest idea will fail. So after completing your first hurdle, getting the startup online and ready for customers. The traditional way to obtaining new customers is through outbound marketing. This is the route most well-funded companies take because they have massive budget and tremendous resources. If you go to Google Adwords and bid on “your business line” you will end up paying astronomical "PPCs" (pay per click) charges. Companies that have millions of dollars routinely spend $5,000 – $10,000 a day as long as they’re bringing in new customers. I don't know about you, but that's not me!!! Boot-strapping companies like our's would go bankrupt quickly. There is no way we could play that game and compete with multi-billon dollar companies like Amazon, WalMart, and Alibaba. That’s why we always recommend the inbound sales route first, and THEN add SOME traditional outbound marketing as you can afford to do so. Even then, DON"T GET CRAZY WITH IT! Great success can be had with outbound marketing by utilizing a marketing method called Outbound Re-targeting Method. Using both Google and Facebook you can easily implement a "pixel into your pages" that tags visitors visiting your website. Even without buying anything, when they go to a website the serves Google or Facebook ads, when they check their newsfeed, they will see your banner. If your website produces valuable content, you will be remembered. But when they see your logo, your branding on websites they trust, that adds credibility to your website and causes them to be more apt to buy your product or service. And the best part is, click on your link or banner – no massive ppc charges! Free high-impact advertising - you should be crushing it like we do! After reading this article, please pay particular attention to your Facebook newsfeed or your favorite news website. You’re going to see us everywhere! Besides re-targeting, I don't bother buying “traditional” ads on Google or Facebook. You should focus on websites in your niche where you are more likely to connect with customers interested in your products and services. Let’s face it – we’re not going to compete with Amazon advertising budgets! On the other hand, they are producing very little useful content. Their revenue streams are based on PPC, not useful compelling content. Advantage - You And ME! Revive Adserver allows you to serve ads on websites, in apps, and in video players whilst collecting detailed statistics about impressions, clicks, and conversions. This is a must have if you’re serving ads on your website or purchasing ads on other sites. The best part about the Revive Adserver is that it’s free and open source. Using our Managed Cloud Hosting you don’t have to worry about buying a tedious dedicated server or VPS. We can help you manage all your traffic! Key Financial Recovery Services: Anita ask us to post their web results. Here is the chart from webilizer: The important numbers are in blue and yellow. A "Stellar Idea” will only get you so far. Time after Time I hear tons of amazing ideas for new websites, apps, products, and services. But very few are successful. Unfortunately, they didn't get very far. That was the last I ever heard of them or their mobile app. It’s no wonder because there are billion-dollar companies bidding on their target keyword. Hence, Google Adwords is VERY EXPENSIVE, and can kill start-ups that has limited capital. Point: Regardless of how awesome your product or service is, your marketing plan will make or break you! Know Who Your Customer IS: Demographics, Where they go on the net, favorite color, what they drive, what they buy. Anything and Everything that would endear you to them. Know Your Competition and Their Capabilities – Research and study your competition like crazy! Buy similar products / use other services to see what the market looks like. Analyze how they market. Gather as much data as humanly possible. Analyze The Results – After you’ve spent some time gathering data, using the application, and getting feedback from others – look for weaknesses, trends, and missed opportunities that you can exploit. Look for the common denominator, it’s your competitive advantage. Set Goals – Every Entrepreneur wants to be the next Bill Gates or Steve. But you have to be realistic. Before we could run, we all had to learn to crawl, then walk. Set realistic goals and stick to them as you launch your marketing plan. Keep slicing away at that pie until you get the whole pizza! Develop A Strategy – A football team, prior to each game, spend hours watching tape and developing a solid “game plan” for beating the opposing team. Use those same technics whilst developing your winning marketing plan. How are you going to beat your competition when you’re fighting for the same traffic and customers? Implement The Plan – This should go without saying, but if you’ve made it this far, make sure to put your plan into action. Your own self-confidence can be your own worse enemy! You’ll never know until your try! Track The Progress – Nowadays there are countless number of tools out there to track your conversion funnel from start to finish. Make sure you’re keeping a close eye on how much you spend to gain a customer and where your sales funnel can be improved. Evaluate The Result – Your first marketing plan isn’t going to be your last. You may even fail several times. But make sure you learn something each time you run a campaign. Even if you lose a bit of money, make up for it in knowledge. Evaluate all of these results so you don’t make the same mistake twice. Marketing your product or service isn't rocket science. Keep it simple, direct, and focused on accomplishing your goals and milestones. Remember: Your awesome idea is only as awesome as your marketing strategy. Do the work; Make it a good one! Marketing and advertising is critical to your success. You could have the best products and service EVER, but if nobody knows about them, you will be bankrupt and drowning in debt. If nobody knows about you, nobody will give you their money. You don't exist! You're gone! Inbound Marketing is, by far, the easiest and most cost-effective way to get the word out about your company! Inbound marketing is marketing activities that directly brings visitors in to your website, rather than hiring marketers that charge "up-front" to provide you with lists of names that may or may not be current or relevant. Inbound marketing earns the attention of new customers, makes your company easy to be found, and draws customers to the website by producing compelling content. To get started, you need to identify your target audience, people that will buy your products and services. Next, you must produce compelling content tailored to your target audience that will bring them in. The fact you’re reading this text right now proves Inbound marketing works. It’s how I’ve made 84% of my sales. At Active Technologies, we’ve identified our target audience as "small business wanting to be found on the internet". Therefore, we create tons of interesting content that will help our target audience build their business, and in return build our business as well. We can spend thousands of dollars all day long on Google to get to get nameless and faceless masses to see our logo. However by producing helpful insightful and relevant content , it proves that we are truly interested in you and the success of your. No matter what your goals are for your business, you should be connecting with your target audience daily to keep your company on their minds and hearts. How? The rise of social networks has made this really easy! Using just Facebook, Twitter, and LinkedIN you can instantly connect with plenty of people to get your business off the ground and profitable. But first, you must identify those you are trying to reach, and product valuable, useful content that is going to draw them in. Marketing your business is one of the most daunting task. You know your service "the best", but how do you get the word out and compete with lots of major players? Many competitors turn their products into commodities and will almost give away their services just to get the business. It’s pure numbers over quality! And if you try to play their game, you will loose. However there are many sub niches of communities online all looking for your product, a better product and service. Focus in on one of these and tailor your marketing plan around them! That way you’re not left wasting bullets by shooting in the dark. People like to congregate in groups. It’s our nature. Start Googling around different sub-niches for discussion forums. A huge group for Affiliate Marketing, for example is Warrior Forum. Also, Don’t forget related groups in LinkedIN, Facebook, and Twitter. Just like people gather in groups they also like to read about things happening in their industry. Start blogging daily on big events or include tips on how to make the most of your product or service. And they Love Success Stories. Give them all they want. Offer a coupon or some type of helpful information in return for a user’s email address. Follow up with them regulatory but don’t SPAM them. Offer them the ability to share with a friend (if doing a coupon code) and you’ll be amazed at the amount of traffic this generates. Everyone is on social media. Make sure to build your company pages for LinkedIn, Facebook, and Twitter. Focus on your personal profile. Connect with people in your target niche and start providing them value. Even if it’s just an inspirational quote or and experience, give them something memorable that will make an impact. Show people how to benefit from your product and publish it to your YouTube channel. They rank high in SERPS (search engine results page) and will provide you with people interested in your brand. The more videos the better, but aim for one a week. This is a no-brainer. While it’s not as effective as it was a couple of years ago, make sure to verify your site in Webmaster tools, have unique meta descriptions on all your pages, as well as proper heading and lists. AND, don't use query strings in your URLs. Use the article name as part of your url. Make sure to keep the buzz going around your business every month! A press release is very important even if you don’t pay for distribution. If you have the $250 or so to spend, go to PRWeb.com for one of their pages. But nothing else, make sure to post it on related forums and chamber of commerce sites. Feel free to go out on your own. There are many other ways you can get the word out without buying expensive advertisements. As long as you can produce content / help people out, they’re going to start talking about your business! Here is the chart from awstats: The important numbers are in blue and yellow. (Adrienne Erin @ WebProNews) As someone who runs a website, you’re familiar with SEO. You understand that there are certain techniques and tactics that can take a webpage from the bottom of the barrel in terms of search rankings to the top. You’re probably aware that proper SEO is essential for being found on major search engines and that without it, growing an established online presence can be a challenge. Now, think about your definition of SEO. Chances are, things like keyword optimization, meta-descriptions and even photo optimization are coming to mind. These are all wonderful, essential aspects of traditional SEO. They are also all considered to be on-page factors. Learn what off-page SEO is and about the tactics that really make a difference below. Off-page SEO relates to all aspects of driving traffic back to your site that pertain to external factors – things that lie outside of your actual website. These include link building, social media, social bookmarking and other tactics that will be discussed shortly. Off-page SEO is critical for rounding out on-page tactics. Off-page strategies can boost rankings, improve page rankings and garner additional exposure. All of this means more traffic and more potential for conversions in the long run. Your potential customers and clients aren’t a distant group of individuals that cannot be easily reached like they may have been just 10 years ago. Social media has changed the landscape. In fact, social media networks are designed to help individuals connect with other individuals and with brands like yours. Take advantage of it! By building a social media presence – starting with the networks that your target market are most likely to frequent – you can offer opportunities for engagement that can’t be found elsewhere. While social media numbers and signals play an unknown role in page rankings, they play a definite role in online presence and brand appeal. As such, social networking opportunities to engage should be a major part of any off-page SEO strategy. Local search optimization is especially important for any business with an actual physical location, store or branch. The practice involves optimizing a website so that it is displayed according to the physical location of the searcher. It’s nothing new, searches have been influenced by location for some time now using GPS and mobile technologies. While not new, it’s more important than ever. With a growing number of individuals looking to connect with local businesses and with technology that follows us everywhere, optimizing a site to show up in local searches is critical. Look for local directories, register your site and business with Google Places and Bing and display your location prominently in social media profiles and other online locations for best results. Is there a better way to instill trust in your brand than to have positive reviews wherever you’re found online? Probably not. However, many marketers and business owners fail to see this as an off-page SEO optimization strategy. This should change; positive reviews help certain brands attract more attention than others, lead to higher conversion rates and play a role in page rankings as far as search algorithms are concerned. In fact, a 2013 consumer review hosted by BrightLocal found that 79% of consumers trust online reviews as much as they would trust a personal recommendation from a friend or family member and 85% of online consumers claim to read reviews prior to making any purchases or taking part in any business transactions. Important? Absolutely. Yes, link building still matters. No, it’s not going away any time soon according to ‘one of Matt Cutts’ latest videos. Link building – or, the process of getting your site’s link displayed on external websites to increase online presence in the eyes of search engines – has gotten a bad rep lately. This is mostly due to “illegal” link networks – illegal in the eyes of Google – that allow users to buy and sell back links. However, when done correctly, backlinks can be a search-approved way to increase rankings externally. List your site’s link in your social media brand profiles. Submit press releases through PRWeb or other platforms that disperse releases to a wide audience. Use guest posting sparingly. Look for opportunities that relate to your niche and include your link in a natural way inside of the posts you create. Host a webinar, offering the recording on your website. If the material you share is useful and authoritative, you’ll have a better shot at it being shared. Create content that has the potential to be shared. By creating content – that you share on social media sites – that is useful, informative and catchy, you’re more likely to receive attention and a higher number of social shares. Mix up your site description and work slowly. Backlinking should be a process that takes time and patience, not a once and done effort. Off-page SEO can be just as important as on-page SEO and should be taken seriously. Consider the ideas above when generating an SEO strategy or working with an SEO firm and think about the goals for your business. Are you looking to increase traffic and conversions? If the answer is yes – it should be – then adding off-page SEO efforts could be beneficial. (Tina Courtney-Brown @ SiteProNews) SEO is dynamic, more than a tad bit complicated, and highly competitive. Depending on your industry, staying at the top of rankings can range from mildly challenging to completely cutthroat. In order to stay ahead of the curve, you need to be committed to following trends, being efficiently reactive, and staying willing to examine the small and big pictures thoroughly. (SiteProNews) From the very start, Google Plus has had an uphill climb. Despite a bundle of stats that seem favorable, the social network has seldom been totally taken seriously, and has yet to be a significant gathering place. In other words, Google Plus is not particularly social. So why is it still surviving? The undisputed opinion is that Google hangs on to its floundering platform because of massive integration in key apps like Gmail and Maps, and most pertinently, their search results. Most businesses and enterprising individuals have Google Plus accounts not to connect with others, but for SEO purposes. But is that enough for Google to keep pouring money and attention into this controversial social platform? Google Plus just turned a very immature three years old, and it’s spawning all kinds debates about the site’s longevity and future. Google, of course, has never said anything definitive, but by examining statistics and reading between the lines, there’s some logical conclusions being made, and some indications spell a potential phase-out. While it’s been a slow crawl to adoption, Google Plus has not been a dismal failure, despite many who tout as much. The proof, after all, is in the numbers, and here are some that would indicate it’s been a smashing success. Any website owner would absolutely blow a gasket over those kinds of metrics. So where’s the disconnect? Whether the UI and features of Google Plus have simply never appealed to the masses, or Google was simply too late to the social party is unclear. What is clear is that Google Plus has never really given Facebook a run for its money. Plus has never succeeded in being a social destination. Most people and brands have a profile in order to ramp up their SEO results, but these profiles are more often than not completely static. The result has been a sad feeling mega-site with very little life. Google had its recent Google I/O conference last month, and for many, it wasn’t what was presented but what wasn’t presented that held the most intrigue. Last year, Google Plus was all the rage in the keynote. This year, there was barely a mention. The recent changes to Google authorship, which are mostly detrimental and a step backwards, also has folks surmising a possible phase-out for the social network. There’s a huge volume of inactive users. In fact, 1 in 3 Google employees don’t update their Plus profiles; if they aren’t motivated to do so. You can imagine that the rest of the world is even less motivated. Many that do use the network feel forced into doing so. Because it’s forcibly integrated into other Google products, like YouTube, the public has not taken well to being coerced into creating a Google Plus profile. The UI has never been heralded as a success. Sure, the design is sleek and minimalist, as with all Google tools, but trying to find your profile edits option, as an example, can feel like a wild goose chase. The most telling evidence about Google Plus’s failures lies in the side by side comparison with Facebook, the nemesis they hoped to cripple shortly after launch. Scanning this metrics proves that at least for this goal, Google Plus is a failure. Is There a Future for Google Plus? The true fate of the struggling social beast is still uncertain, but there are other troubling signs. Vic Gondotra, the founder of Google Plus, left Google in April, and much of the team has since been dismantled. The lack of any positive press or advancements around the network is also a head scratcher. Ultimately, however, the extent to which Google has integrated Plus into many of its most critical apps is likely the last word necessary. Google may no longer have visions of taking down Facebook dancing in their dreams, but by any other standards, Plus has been somewhat of a success. Google Plus’s strongest asset is the way it has unified the suite of Google products, and that’s no small feat. That alone is likely to keep the network around for a long, long time. When we started our web business there was no Facebook, no YouTube, and no Google! We utilized domain type-in traffic and inbound marketing by placing articles on other similar websites with my link! We would have KILLED to have a social network! Within the next hour you can setup profiles at Facebook, Twitter, LinkedIn, and YouTube for your business. I know there are even more than this, but with these FOUR, you have the ability to generate enough business to keep you busy for the rest of your life. You just have to be creative! When you setup your social profiles, don’t go on a spamming frenzy posting like a drunken sailor. As one great salesman once said, “people hate to be sold too, but they love to buy.” This is so true! If you can genuinely connect with people and form relationships with them, the sale is the easy part! But if you’re always cramming the sale down their throat, you’re going to shoot yourself in the foot before you have the opportunity to make the sale. Start by adding people you know that could be interested in your products and services service, particularly those that you do business with. Perhaps your local banker who gave your your car or home; The local butcher where you buy your meat. Start with your business circle of friends by posting inspiring, helpful articles and see what kind of response you get. Don't hesitate to ask them to read your articles, get feedback, and ask them to critique them. You will be amazed how helpful they are. My Facebook account is a complete marketing engine but I seldom share a link to Active Technologies. Instead, I engage with my followers by asking intriguing questions or something that is going to elicit a response. If I can get them to consistently see and remember our name, eventually they’ll research our companies and buy something from us. LinkedIn makes it even easier. If you click on your connections page you’ll notice that LinkedIn allows you to send them a pre-typed congratulation or anniversary message. We do this daily and receive a lot of business from our LinkedIn contacts! Especially in LinkedIn, do not connect with competitors! Connect with prospects for your products and services, as many as you can. Then post relevant compelling articles that will entice them to seek additional information OR check out your website. Many of our sales are generated using this method. This is where re-targeting comes into a very important piece of the puzzle. When your connections eventually do decide to check out your website, even if they don’t buy, they’re going to consistently see your ads on relevant websites. Your company or Brand will become their “go to” brand. They might buy in the future OR they might recommend your company to their friends and associates, perhaps even supplying them with a link. With all this said, you can still cross-post your blog posts and coupon specials, just try not to cram it down their throat. Personally, we are much more aggressive on our company pages than on our personal pages. Otherwise, your contact material could be listed as SPAM, JUNK, or equated with “annoying MLM salesman” category, so be very careful with that. In general, people expect companies to be pushy, so do it on your web site but not on social media. None-the-less social media provides an excellent, free, medium for you to connect with customers. Spend an hour a day working it (not dazing off into ADHD paradise) but connecting with them without hard-selling. You’ll be surprised at how fast your efforts will pay off. (Tina Courtney-Brown @ SiteProNews) To put it bluntly, keywords make the web go ’round. Without them, the internet becomes a scattered mess of an endless array of content. Keywords are like the road maps that lead us to the content we are looking for. From a business perspective, they are the neon signs that guide customers to our front door. Selecting the right ones for your business is therefore one of the most important marketing tasks you’ll ever take on. While some aspects of keyword selection are intuitive and obvious, most require actual research to back up our assumptions, and it’s important to have the best tools in your arsenal. There is definitely an art to selecting the best keywords for your business. If you’re looking to craft the perfect keyword strategy, heed these warnings and avoid some of the most common pitfalls. This may sound obvious, but first and foremost, you need to define who you are as a business, as clearly as possible. If you’re a psychologist looking to expand your practice, you’ll want to drill down into your core expertise (PTSD, couples’ counseling, etc.) or you’ll forever live in generic-ville. Your keyword selection should be based on the fundamental vision of your entire business. Before you set about finding the right SEO terms, get clear on your goals and brand first, and only then should you soldier on. Vanity keywords are general, highly-competitive words or phrases that should be avoided unless you have a monster budget. Say you sell gifts and gadgets via an ecommerce store. Going after the term “gifts” would likely be a losing battle. Instead, you’ll want to identify what makes your business more unique, and focus there. Maybe you sell gifts for expectant moms, or all of your items are earth-friendly and sustainable. Go back to what you’ve identified as your core identity, and start listing the words and phrases that best describe you. This is the step most folks skip – we all think we know who are customers are, and in fact, they may just surprise you. Before you bank your entire keyword strategy on what you believe are the phrases folks would use to describe you, it’s critical that you validate your assumptions. The first step is to write a very detailed overview of what you know about your core customers. If you’ve already launched your site, you have data to back this up. If you haven’t yet launched, research your competitors, and find the demographic details based on who you believe you’ll be reaching out to. Be as detailed as possible in your pursuit. Parameters like age range, gender, geographic location, income level, education, likes and dislikes – this is all valuable information as you narrow down your SEO and keyword strategies. Next, as you ponder your potential list of keywords, you need to consider the actual value to your website. If you create handmade furniture, for example, you’ll need to assess if phrases like “Custom Chairs” or “Custom Couches” have more value to your business. To do this, you first consider what brings you the most revenue. I once worked with a woman that sold aromatherapy pillows filled with various plant essences. She spent scads of time creating keywords for “Lemongrass Aromatherapy” and “Rose Aromatherapy”, but when we assessed her sales, it turns out 75% of all pillows sold were filled with lavender, and that people generally searched for “lavender products” and related terms. She has since revamped her business to only deal with lavender pillows – and that, in turn, is now her sole keyword strategy. She simplified based on value, and thus substantially boosted her success. Now it’s time to assess your strategy based on some targeted questions. If you can’t answer “Yes” to all of the following, you haven’t nailed down the essence of your keywords yet. If a searcher uses the keywords, will they find exactly what they’re looking for on your site? Is the selected keyword directly and clearly relevant to your website? Will a searcher find direct value with a search term on the very first page of your site? Will they be happy with the results they see? Does this result in increased revenue or the overall success of your business? If you’re finding yourself nodding emphatically, keep on to the home stretch! Now it’s time to get down to the nitty-gritty. You’ve defined your identity and your core customer attributes, you’ve made an educated list of potential keywords – now you need the quantifiable data to verify that folks are actually using your selected words. The first test is obvious – do a search in Google, and examine the results. Are there lots of paid results? If so, you’ve hit a competitive phrase. If you’ve got the budget to compete with the big dogs, this isn’t a bad thing – obviously these are popular terms. But if you intend to do your keyword magic on a shoestring, opt for results that are mostly organic, but more customized. That’s a healthier strategy for the long-haul. Finally, you’ll want to access a few keyword tools to see the actual usage rates and data surrounding your keywords. The best ones for the job are Google’s Keyword Planner, Microsoft’s Advertising Intelligence, ‘Google Trends Keyword Demand Prediction, and my personal favorite, Wordtracker’s Free Keyword Demand Tool. Each of these apps will give you the tangible verification you need to see how popular terms are now, how likely they are to maintain that interest, and whether or not they’re viable for your long term growth. Everyone wants their website on the first page of Google. But few make it. Why? Your cryptic domain name means something to you, but it doesn't contain any keywords relevant to your business. So it means nothing to Google. Remember all those amazing graphics and special effects your designer did for your site? Well, they're slowing it down. Google hates slow websites, and so do your visitors. Every page has a title tag, but it's not on the page, it's in the html. Google expects title tags to be short, descriptive, keyword rich and highly relevant to page content. Google hates poor title tags, and it especially hates a poor homepage title tag. Google looks for regular text on your page and ignores text you've put in a graphic. It expects text to be informative, focused, keyword rich and completely relevant to the title tag. Google hates pages that lack text, or contain text that's not relevant to the page topic. You've fixed everything above, so now you think you have a great website. Trouble is, Google will not take your word for it. Instead it will check the Internet to find websites that link to yours. Then it will check their quality. If it finds a few high quality sites that link to your site Google will take that as a vote of confidence. And it will finally stop hating you! (Terri Seymour @ SitePro) Accurate and efficient SEO is critical to your site as most sites are found via search engines. Search engines have evolved and are now much more selective in what they look for in a site. Your SEO must adapt to this evolution to keep up your rankings. 1. Keywords – Many professionals will tell you that keywords are one of the most important factors in successful SEO. When choosing keywords you need to zero in on your business as much as possible. For example: if you sell jewelry, using the word jewelry will more than likely not be enough. You need to target your products in more detail. What kind of jewelry do you sell? What attracts people to your jewelry? What would you search for\when searching for jewelry? You can find out what keywords people use the most when searching for products by using Google’s keyword suggestion tool. DO NOT make your title more than 70 characters because the excess will not show up in the search engines. You will then get one of these ……. which does nothing to get people to click on your page. 4. Quality Links – Getting other quality, high-ranked sites to link to your site can be significant to your rankings. Always link to sites that will be helpful and beneficial to your visitors and to you. Find high ranked authority sites and contact the webmaster. Offer to place their link on your site if they do the same for you. 9. Page Speed – The speed at which a webpage loads is not the most important factor in your site ranking but making the speed the most efficient it can be will be well worth the time. Many visitors will leave a webpage in about 10 seconds or less if it does not load. Clean up your pages as much as possible. Make excessively long pages into two or more shorter pages. Reduce the size of your images. Fortunately, there are many things you can do to improve your page speed. One of the first and most important steps is to find the right keywords that customers will use to find or search for you. If you own a restaurant in Orange County, California, using “orange county restaurants” as a keyword phrase will be important to you. Create an excel spreadsheet to keep track of your keyword ideas. It may be tricky to rank for your most important phrase depending on how much competition you have. The main focus when coming up with your keyword phrases is to understand the language your customers will use to search for a business like yours. Don’t take outdated advice to “stuff” your content with keywords. It’s not good for search engines or your customers. Instead create a reasonable amount of high quality content which is important for both your visitors and search engines. Customize your meta title. Keep in mind that this is what most platforms use as the title when your content is shared on social sites so make it appealing and useful to your readers. Update your meta description. Google will usually publish this on the search engine results page so make it attractive and inviting. You should also include your city and state in your content where it’s natural. This will help let visitors and search engines know where you are located. As a local business your Contact page can be the second most important page on your website…so get the most out of it. Now that you have some of your keywords and on-page optimization in place, let's look at some other factors that are not directly associated to your site. I am sure you might have heard of Google Places or Google + Local pages. But if you haven’t you aren’t alone. Do you need one, both, or neither? Google Places is the information search engines use when listing your business. The search engines might already have your business listed in results, but your Google Places page will give you control on what information Google has and displays to potential customers or people searching for your business. You can fill this page with information like a description, hours of operation, and contact information. A Google+ Local page is more about connecting with your customers. It also allows you to get more exposure. They add social interaction to your listing and give you an opportunity to create a path of communication with your customers by responding to their reviews and creating post updates. - It helps put you in control of your brand. - It helps you gain more visibility. Both are easy to use and FREE to set up. With so many searches made each month, Visibility and control of your online presence are a must. Do not use fake reviews. It will only create issues for you later on when search engines or customers catch on to what you are doing. Try asking your customers kindly who have done business with you to leave a review on your Google+ Local page or yelp. Give them options. Let them choose their preferred service. More options = more results. Check your social profiles and make sure they include your physical location. Include the city, state, business name, and URL back to your website. Keep these consistent across each of your platforms. Mobile is the future! Your customers are constantly on the move looking for your business on their mobile devices. If you don’t have a mobile presence yet, you need to get up to speed. Think about getting your website mobile responsive so you’re your customers can have a better experience when they visit your site. Give consideration to how your most important sites look to your mobile viewers. Set up the tools that will help you track and analyze your results. Glance weekly over your impressions and click of your keywords in Google Webmaster tools. Check Google Analytic's to see if your organic traffic is improving. With the rise of social media and Google’s search algorithm favoring new and unique content, there’s been a lot of buzz these days around producing content. Blogging, informational videos, infographics, guides, and the like are more popular now than ever. All this great content provides businesses with a unique opportunity to gain new customers. If your business isn’t currently producing content for your prospects and customers, you should definitely start now. Writing and producing content that speaks to your target audience is a fantastic way to get your name out there and build trust with potential customers. Even if you start small, it’s worth the time investment. In this post, we discuss ways you can get even more out of the content you’re already producing by using it in conjunction with Pay Per Click (PPC) ads. Oftentimes, customers choose companies, products, and/or services based on brand recognition and trust. Steering these customers to your content through paid search efforts is a terrific way to beat your competitors and start building the relationship before they buy. It’s a good idea to bid on relevant keywords around what your blog offers. For example, if your business sells garden tools and you have a blog that features daily gardening tips, you’ll want to bid on the keyword phrases like “gardening tips,” “gardening guides,” “gardening resources,” “gardening blog,” etc. By bidding on these keywords and bringing in traffic to your content, you can reach potential customers higher up in the sales funnel. If you feel your content is especially helpful, it can go a long way to establish brand trust and thought leadership. One thing you have to remember is that these customers may not be ready to buy yet and therefore may take longer convert. Through additional messaging, you can nurture these customers until they’re ready to purchase. Perhaps your business produces video blog posts (vlogs), webinars, video tips, or other video content such as product demos and loads them onto a business YouTube page (another good idea). You can actually place PPC ads right over your videos. If viewers like what they see, they can immediately click on your ad and go directly to your website versus having to visit your website on their own. This is more beneficial because you can tailor the experience and the messaging to those viewers, which should increase your closing rate. PPC Remarketing is another fantastic method that gives you additional opportunities to convert your content visitors. By placing a remarketing pixel on the webpages that contain your content and/or resources, you can show remarketing ads to someone after he/she has left your page and is browsing the web. Again, this is helpful because you can tailor a relevant message based on what previous pages or content they visited on your site. You can offer additional information or promotional offers in order to entice them to come back, sign up, or make a purchase. Creating content is an easy way to get customers to your website and establish brand trust and thought leadership. Brand trust and reputation is a key step in the decision process for most buyers. By pairing relevant content with PPC, you can increase the effectiveness and the overall impact of that content. Is written in C to be extremely fast and highly portable. On my 1.6Ghz laptop, it can process close to 70,000 records per second, which means a log file with roughly 2 million hits can be analyzed in about 30 seconds. Handles standard Common logfile format (CLF) server logs, several variations of the NCSA Combined logfile format, wu-ftpd/proftpd xferlog (FTP) format logs, Squid proxy server native format, and W3C Extended log formats. In addition, gzip (.gz) and bzip2 (.bz2) compressed logs may be used directly without the need for uncompressing. Generated reports can be configured from the command line, or more commonly, by the use of one or more configuration files. Detailed information on configuration options can be found in the README file, supplied with all distributions. Supports multiple languages. Currently, Albanian, Arabic, Catalan, Chinese (traditional and simplified), Croatian, Czech, Danish, Dutch, English, Estonian, Finnish, French, Galician, German, Greek, Hungarian, Icelandic, Indonesian, Italian, Japanese, Korean, Latvian, Lithuanian, Malay, Norwegian, Polish, Portuguese (Portugal and Brazil), Romanian, Russian, Serbian, Slovak, Slovene, Spanish, Swedish, Thai, Turkish and Ukrainian are available. Unlimited log file sizes and partial logs are supported, allowing logs to be rotated as often as needed, and eliminating the need to keep huge monthly files on the system. Fully supports IPv4 and IPv6 addresses. Includes built-in distributed DNS lookup capability and native Geolocation services. Distributed under the GNU General Public License, complete source code is available, as well as binary distributions for some of the more popular platforms. Please read the Copyright notices for additional information. In March 2012 we took on a small Charleston SC Real Estate client that previously averaged about 400 visits per month. URL: A Uniform Resource Locator (URL) uniquely identifies the resource requested by the user's browser. Page: A page is a successful HTTP request for a resource that constitutes primary website's content. Pages are usually identified by a file extension (e.g. .html, .php, .asp, etc.) or by a missing extension, in which case the subject of the HTTP request is considered a directory and the default page for this directory is served. File: Each successful HTTP request is counted as a file. Visitor: A visitor is the actual person browsing the website. A typical website serves content to anonymous visitors and cannot associate visitors with the actual person browsing the website. Visitor identification may be based on their IP address or an HTTP cookie. The former approach is simple to implement, but results in all visitors browsing the same website from behind a firewall counted as a single visitor. The latter approach requires special configuration of the web server (i.e. to log HTTP cookies) and is more expensive to implement. Note that neither of the approaches identifies the actual person browsing the website and neither provides 100% accuracy in determining that the same visitor has visited the website again. Visit: A visit is a series of HTTP requests submitted by a visitor with the maximum time between requests not exceeding a certain amount configured by the webmaster, which is typically set at 30 minutes. For example, if a visitor requested page A, then in 10 minutes page B and then in 40 minutes page C, then this visitor has generated two visits, one when pages A and B were requested and another when the page C was requested. Host: In general, a host is the visitor's machine running the browser. Hosts are often identified by IP addresses or domain names. Those web traffic analysis tools that use IP addresses to identify visitors use the words hosts, domain names and IP addresses interchangeably. User Agent: User agent is a synonym for a web browser. In order to illustrate the difference between hits, pages and files, let's consider a user requesting an HTML file referring to five images, one of which is missing. In this case the web server will log six hits (i.e. one successful for the HTML file itself and four for successfully retrieved images and one for the missing image), five files (i.e. five successful HTML requests) and one page (i.e. the HTML file). Why Spend Money On Search Engine Optimization During Hard Times??? Advertising is usually one of the first items on the chopping block (though it shouldn't be). You've got to cut costs, and you certainly don't want to lay off any employees if you can help it, so you start looking a bit more closely at your marketing budget to see where you can rein in ad spending. It's a natural reaction to a tightening budget, and there is a good reason for it. Most business owners know that you need to advertise. Sure, word of mouth is great - there's nothing like a referral from a happy client to instill trust in a prospect - but you still need to be proactive in getting the word out. The trouble with advertising in the traditional sense is that it is difficult to know whether your efforts are working and what is generating the best value for your dollar. The uncertainty makes it hard to keep throwing money into your ad spend. When your budget tightens it is even harder to justify the cost when the benefits are fuzzy at best. But marketing on the web is different. The costs are lower, return on investment can be much higher and traffic data allows you to chop out the dead wood and optimize your budget. Search engines are a primary driver of traffic on the web (second in use only to email according to a report by Pew Internet & American Life Project and comScore). Search engine optimization (SEO), as a result, has received an increasing amount of well-deserved attention. For most small businesses, SEO is new. Some have considered it, perhaps even done a bit of research on the topic, but haven't yet invested in it. Others have invested in it in the past and found themselves disappointed with the results. A few have found real success. In this economy, why should a company consider a new marketing channel like search when they're already looking to cut their budget? What about the risks involved in such a new endeavor? What if it doesn't work? These are all valid questions. For those who spend most of their time building and maintaining their businesses and systems, reading up on what makes search engines tick is unlikely. Understanding SEO enough to truly leverage it for growth can seem a long way off. marketing to in-house email lists. ROI is everything - especially in uncertain economic times. high quality traffic to your website and gets your message in front of the right people at the right time. to optimize your marketing budget in real time. Hiring for an in-house SEO position is often out of the budget range for small businesses - in this economic climate especially. Existing employees, on the other hand, can play an important role - especially those who are already regularly updating your website. It requires careful research, planning and execution, but with the right training and guidance much of the work required can be handled in-house. There are also some simple things you can be doing in-house to improve your SEO. That company you partner with - do they have a website? If so, consider asking them to link to you (after you link to them). Links are a powerful way to improve your search engine rankings. That trade organization you belong to - do they have a directory on their website where they list and link to members? That could be the source of a quick and easy link. Consider starting a blog? It's a great way to build content on your site and bring in attention and links - just keep in mind you've got to be serious about it and actually post regularly. Full disclosure: I am biased. I run a search engine marketing agency. But I hope you'll hear me out anyway. Hiring an SEO agency to either handle the full scope of work or to consult on research and strategy and delegate to your web developer makes sense in many situations. SEO agencies usually spend a great deal of time researching strategies and tactics and compiling resources – all of which can help you hit the ground running with your SEO campaign. But you need to find the right agency. Let's be clear: no SEO agency can guarantee you rankings or growth. If they tell you they can, they're being either dishonest or foolish, or both. The bottom line is that SEO experts don't control the search engines. Changes to Google's algorithm can, and usually do, come unannounced. That is out of our hands. This doesn't mean, however, that the burden of risk should fall entirely on your shoulders. Failure of a campaign shouldn't mean you lost your investment, the agency \"did their best\" and it just didn't work out. Smart agencies recognize that the best thing they can do is share the risk with the client. How? Simply: they set specific goals and benchmarks and stick to them. That may mean they continue working at a discounted rate if they don't reach a goal. On the other hand, they may choose to work on a performance-based contract from the start so their compensation will be linked directly to the return on your investment. The point is, it should be more of a partnership than a client/vendor relationship. That is as important now as it ever has been. SEO is scalable - you don't have to throw everything and the kitchen sink into it. Sometimes just taking a few small steps here and there over time adds up to success. Other times you need a one-time overhaul of your site, or maybe a long-term relationship with an expert who can help chart the course. It will depend on the goals you set for your website and how realistic they are given the limits of time and resources. But search engines are going to remain the primary driver of traffic and sales on the web for the foreseeable future. SEO, for that reason, shouldn't be an afterthought to your marketing plan, even in tough economic times - indeed, with such a high potential return on your investment, it should be a priority. (Caitlin Miner @ SiteProNews) The world of SEO content writing has once again been brought into line with the introduction by Google of its Panda 4.0. 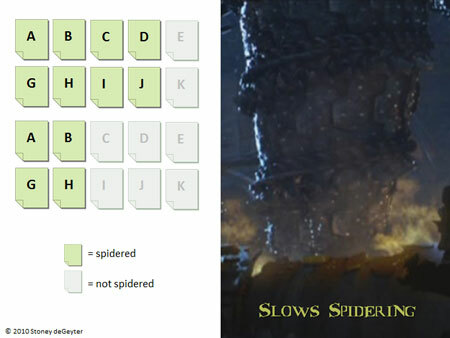 Primarily, Panda is an innovative technique, designed to eradicate short and duplicated content material. For any content writing service it means ensuring their content is not only audience-friendly, but crucially, Panda-friendly. The first and critical awareness, must be directed at writers avoiding any duplicated content and, instead, concentrating on providing subject matter that is unique and of a high quality. It could mean that the short-cut action of “spinning” articles will be influenced. The originality demanded by Panda 4.0 makes it mandatory to produce interesting and stimulating reading, related to the subject. This overall service enhancement will benefit the vast online audience, by providing them with original website content writing without intrusive, irrelevant material that could be construed, as misleading. In addition, all pages should have original title tags and Meta descriptions, with the further, recommended enhancement of using images and videos when appropriate. Google Panda 4.0, which was officially released in May, has the purpose of reducing thin content, which has minimal or no value. This is designed to protect consumers from landing on a page of no value. Professional SEO writers are aware of the need to produce copy to meet the demands of the search engines, with a composition of at least 300 unique words, if they want to attain high rankings. This is not a rule written in stone, but the purpose of audience connection, as well as SEO, should be kept in mind. The implications of Panda 4.0 are that Google has different objectives in identifying websites and it will take a content writing service time to determine how it will impact, either positively or in a negative perspective. One important aspect that could make a significant difference is by SEO agencies being employed to audit websites and their content. Should due care and attention not be given to the new Panda 4.0, then many online marketers, among others, could see their website rankings decline at a rapid rate. This could be regarded as a critical revision in the Google algorithm process and follows the 24 updates that have been implemented since 2011, which saw the launch of Panda on the Internet world.